Hydrogen Sulfide Poisoning is by far my favourite illustration, where we once again see Travis reprise his role as “guy on the toilet”. 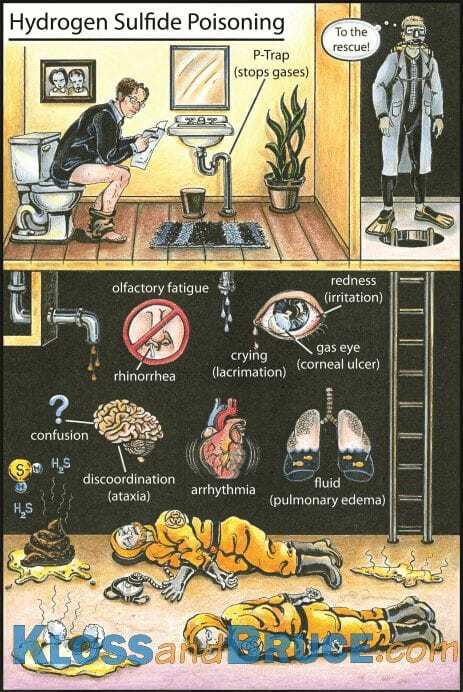 This flashcard demonstrates the classic scenario of a few sewer workers that enter a confined space and pass out. They can only be rescued by a man in scuba gear – “Dr. Kloss to the rescue”. 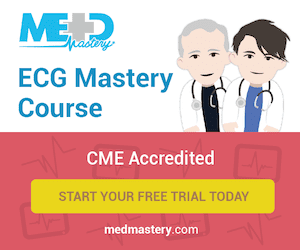 This flashcard featured on AMC’s Comic Book Men and summarises all the signs and symptoms of hydrogen sulfide poisoning and more importantly, answers the age old question of why farts smell like rotten eggs – it’s the sulfur baby!